Looking to explore the beauty of northern Thailand? 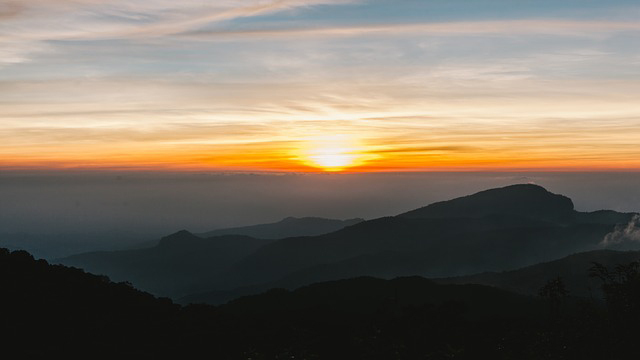 There’s no better place to revel in the forests and mountains of the Land of Smiles than at Doi Inthanon, the tallest peak in the country and the eponymously named national park. 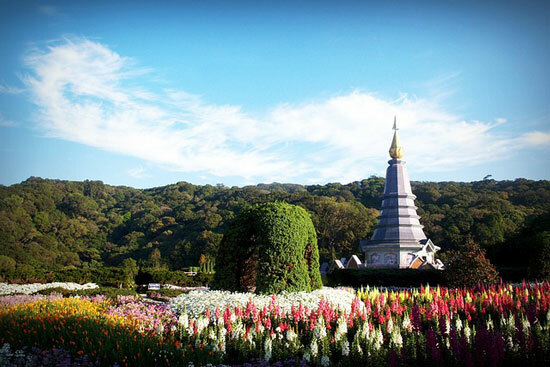 Doi Inthanon is a stunning natural site, with a rich and lasting history. Dubbed Thailand’s highest peak, the mountain was named in honor of King Inthawichayanon. The king was one of Chiang Mai’s last, and he was deeply concerned about the state of the forests in the country’s north. The king’s wish was fulfilled in 1954 when the forests around the peak were officially conserved and incorporated into Doi Inthanon National Park, which spans 482 square kilometers. Today, the area is a popular destination and can see up to 12,000 visitors on peak holiday days. 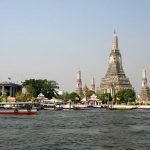 Visitors can explore the chedis of Naphamethinidon and Naphaphonphumisiri, tour the Royal Thai Air Force weather radar station, and view the Thai National Observatory. One of the two Chedis located at Doi Inthanon. They sit 100 metres apart. As with many attractions in Thailand, transportation between the city and site need some thinking through. Riding a motorbike between the city center and the national park will be your easiest and cheapest option. If you choose to bike between the two, be sure to bring a sweater — the higher the altitude, the chillier the air. The distance is about 85 kilometers, and the ride will take at least two hours. While some visitors may consider taking a Songthaew, that option results in a long and costly journey. 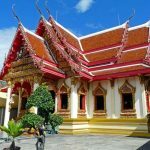 In fact, you’ll likely have to take two cars: one from the Old City’s Pratu Gate and the subsequent from Chom Thong to Doi Suthep. Your trip could take four hours or longer. If you’re traveling in a group of 2 or more, a taxi might be your best bet. A single journey will cost around 3-4,000 THB. It would be far cheaper to get a return, but you would need to negotiate with your taxi driver to hang around for the day while you look around. While it’s a pricier option than renting a car or motorbike, it is certainly the easiest for passengers looking to sit back, relax and watch the Kingdom’s northern landscape fly past their window. Follow route 108 towards Chiang Mai International Airport from the southwest corner of the Old City. Drive toward the airport, following the left-hand lane that curves under the overpass. Continue in the left lane until you see a major intersection, where you’ll turn right to continue on 108. Drive for about an hour. When you reach 1009, turn right and follow the signs to Doi Inthanon. 1009 will slope uphill until you reach a fork. Here, you should turn right to access the park’s main entrance. There will be a temple on your left immediately after entering. You’ll reach the park’s entrance, where you’ll be able to buy tickets. Before you can enter the park, you’ll have to buy a ticket. The park grounds are open 24 hours a day, 7 days a week, so you’ll purchase a ticket for a single entry (not for any number of days). Remember to keep your tickets safe while inside the park; you may be asked by a park authority to present them at any time. Adults will have to pay 300 THB, while children’s tickets cost 150 THB. If you drive a vehicle into the park, you’ll have to pay 20 THB per motorbike or 50 THB per car. To enter the temple, you’ll have to pay 30 THB. To hike the peak’s highest trail, you’ll need to pay a 200 THB fee for a hiking guide, which is required before you embark on any treks within the boundaries of the national park. Visitors to the park may stay overnight. Camping sites and bungalows for rent are located a mere 500 meters from the camp headquarters, and gear and tents can be rented at the camp site’s entrance. Tents cost 225 THB per day. Additional amenities, such as sleeping bags, mats, and pillows cost 60 THB extra. If you camp during the colder months, you may want to bring blankets and sleeping bags, as temperatures drop considerably at night. Bungalows are the more expensive option, but they’re also the most comfortable. While it’s possible to book on the day, it’s recommended that visitors book a few days or even weeks ahead of time. Bungalows range in price from 1,000 THB to 6,500 THB and can be paid for at 7-Eleven stores or certain banks. No visit to Doi Suthep would be complete without a trip to the summit — the highest point within the Kingdom at 2565 meters. The summit is accessible via car (visitors should drive to the end of road 1009). Visit the peak at sunrise for the best views. This trail is only 366 meters long, but what it lacks in length, it makes up for in beauty. Ang Ka, which translates to “Crow’s Pond,” is the highest naturally occurring body of water in the Kingdom. It is surrounded by thick evergreen forests, temperate climate and a host of unique flora and fauna that include Rhododendron, Sphagnum Moss, Pere David’s Vole, and the Green-tailed Sunbird. The park's best-known trail, Kaew Mae Pan, is also a short walk from main road 1009 at kilometer 42. Often used to educate aspiring botanists, the trail stretches 2.78 kilometers through the forest. 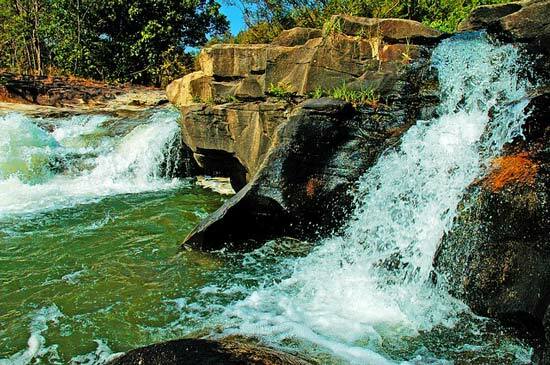 Here, you’ll be able to spot the Mae Pan Falls, unusual moss, and alpine and jungle ecosystems. To trek this trail, you’ll have to pay a fee of 200 THB. Near the peak’s summit, you’ll spot two spectacular structures that were erected to honor the King and Queen. 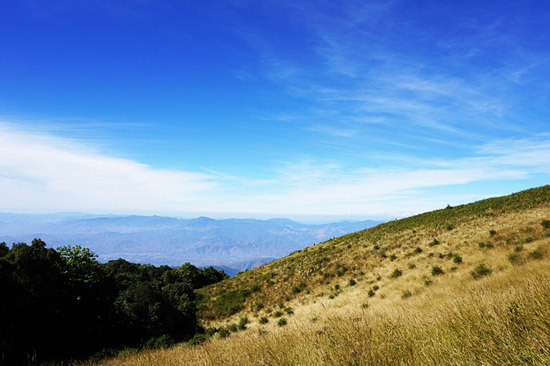 Located on twin hills and separated by a distance of only 100 meters, the two beautiful Chedis face each other. Visitors may explore the interiors of each, which contain Buddha images, murals, and other spectacular details. Mae Ya: At 250 meters tall, this waterfall is the park's largest and requires a separate entrance fee. Mae Pan: Located off of Mae Chaem Road, Mae Pan is easily accessible via car. 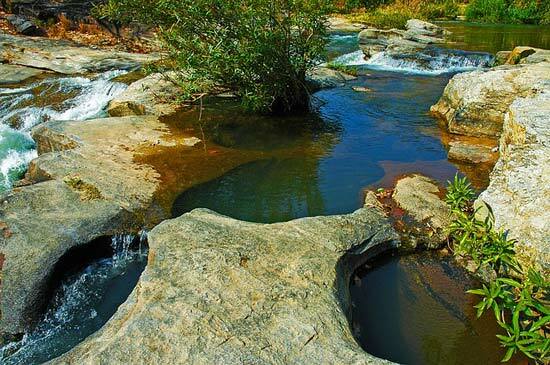 Mae Klong: As Doi Inthanon's most popular waterfall, this site is often the most crowded. The falls cascade nearly 100 meters. Pha Khun Na: This site is closest to the visitor center. Sirithan: Visitors can access this crowd-pleaser via a 200 meter-long trail that originates in the parking lot. When exploring the national park, you’re sure to see a variety of wildlife. To give you an idea of what to expect, I've listed some species of birds and animals that call this area their home. A complete list of species can be found here. How Much is a Guided Tour? Currently, park authorities offer two packages for Doi Inthanon tours. Both are licensed through the Tourist Authority of Thailand. The Doi Inthanon National Park adventure tour (rainy season edition) is available from June 1st to October 31st. Guides will lead groups through the mountain forests, around waterfalls and up to the peak of Doi Inthanon. Prices range from 1,800 THB per person (for an eight-person group) to a maximum of 6,500 THB. The second tour is offered during the dry season, from November 1st until May 31st. Prices range from 1,600 THB to 5,900 THB. Can I Visit Without a Tour? Doi Inthanon is safe to visit on your own, and treks through the park are both well marked and easily accessible from the main visitor areas. If you do intend to explore the Kaew Mae Pan Nature Trail, you’ll be required to hire a guide for 200 THB. Otherwise, you’re free to trek to your heart’s content. => Do read my post on Safe Trekking first though! Expect to see interesting land formations, unscathed by human interference. Trip-planning depends entirely on your personal preference. If you can cope with wet and humid weather, the Kingdom’s rainy season (May to November) is best to see the park’s waterfalls in all of their glory. The dry season yields less spectacular waterfall displays but offers incredible shows of spring blossoms in late January and early February. This is also an ideal time to spot many unique species of birds and wildlife. Although Thailand is not known as a ‘cold’ locale, winter nights in the mountains can get very chilly, so pack accordingly and bring plenty of layers. What Should I Take on My Trip? 1. Start out early, as crowds tend to congregate inside the park in the mid-morning. Doi Inthanon opens at 6 a.m. If you’re looking to arrive for sunrise, but if you’d like to catch a little more sleep, you should plan to leave from Chiang Mai no later than 9 a.m.
2. Be prepared to pay cash! 3. Temperatures from December to early March are deceptively cool. Pack accordingly. 4. If you like a regular munch, be sure to pack food and snacks, as dining options within the park are limited. 5. Bring a swimsuit along if you’re interested in visiting any of the site’s hot springs. 7. Keep in mind that some of the nature trails (Mae Pan) do not provide shade, so bring sunscreen, sunglasses and a hat along. 8. There are plenty of bathrooms within the park but carry toilet paper, just in case. Also bring anti-bacterial wipes. I am looking to have the Amulet money in Doi Inthanon temple. I never been to Thailand before can you give me some information ? I did not conveniently ignore the fact. This post is a guide for foreign visitors, not local tourists. The price for Thai nationals is 50 THB for adults and 20 THB for children.So, to clarify, you think that a local man, with a wife and two children, earning 300 Baht a day (approximate average wage in the north of Thailand), should pay 900 Baht, or 3 day's wages (2 adults and 2 children), to visit the park? You do not believe that there should be any subsidy for low income earners? No I don’t think the local man should have to pay the figures you quote to gain entry. I think the foreigner, whether he be a tourist or resident, should pay what the Thai pays. You have given the admission prices for Thais. In my view, everyone should pay the same price.This invidious practice of dual pricing has been extensively debated on your’s and other’s blogs. It is a disgraceful practice which in any civilized country would NOT be officially sanctioned. So you expect local government to subsidize the national park for foreign nationals on holiday? The reality is that it simply could not be run at those low prices.My solution is this...I don't agree with dual pricing per se; because there are clearly Thais wealthier than their foreign counterparts who get to take advantage of the low pricing. That is unfair. I advocate for low-earner subsidization, which could be managed easily by a special card.